Make this Mother’s Day her most memorable yet with these thoughtful gift ideas. Mother’s Day gifts may come in all shapes and sizes, but what matters most is that they come from the heart. To inspire you, we’ve suggested ways to make 10 classic Mother’s Day gifts more personal. Whether you choose the luxurious or kids-can-help option, one thing is for sure — you’re guaranteed to make Mom smile on her special day. Luxurious: Turn your home into a home spa. Surround your spa with her favorite flowers, candles and music. Enhance the experience with food and champagne. Provide a fluffy towel and let the peace and tranquility take her away. Kids-Can-Help: A homemade facial made from ingredients found in the kitchen or a relaxing scalp massage. Luxurious: A meal ordered and picked up from her favorite restaurant. Kids-Can-Help: A special menu planned by the little ones and served on a hand-painted plate. Luxurious: A bouquet of store-bought flowers in every room. Kids-Can-Help: Flowers made from tissue paper or hand-picked from your garden. Luxurious Version: A necklace with her kids’ birthstones. Kids-Can-Help: A handmade bracelet of colorful beads. Luxurious: Scented bath soaps and salts from a store like Fresh (www.fresh.com), Bath Plantation (www.bathplantation.com), or Bath & Body Works (www.bathandbodyworks.com). Luxurious: A luxe satin or brocade lounge pillow. Kids-Can-Help: A throw pillow made from your kids’ favorite outgrown T-shirt or a small sachet decorated with fabric paint. Luxurious: A family photograph placed in a gorgeous frame. Kids-Can-Help: A scrapbook of family pictures or your children’s artwork displayed in a frame. Luxurious: A fleece-lined pair in pretty spring colors from Amy Jo Gladstone (www.amyjogladstone.com). Kids-Can-Help: Solid-color slippers with designs kids can glue on with sequins. Luxurious: A box from Godiva (www.godiva.com). Kids-Can-Help: Hand-dipped chocolate-covered pretzels or Rice Krispies treats with a Mother’s Day message spelled out in sprinkles or chocolate chips. Luxurious: A maid and/or babysitter you hire for the week. Kids-Can-Help: Handmade coupons for household chores Mom can redeem or a house that’s spotless when she wakes up. 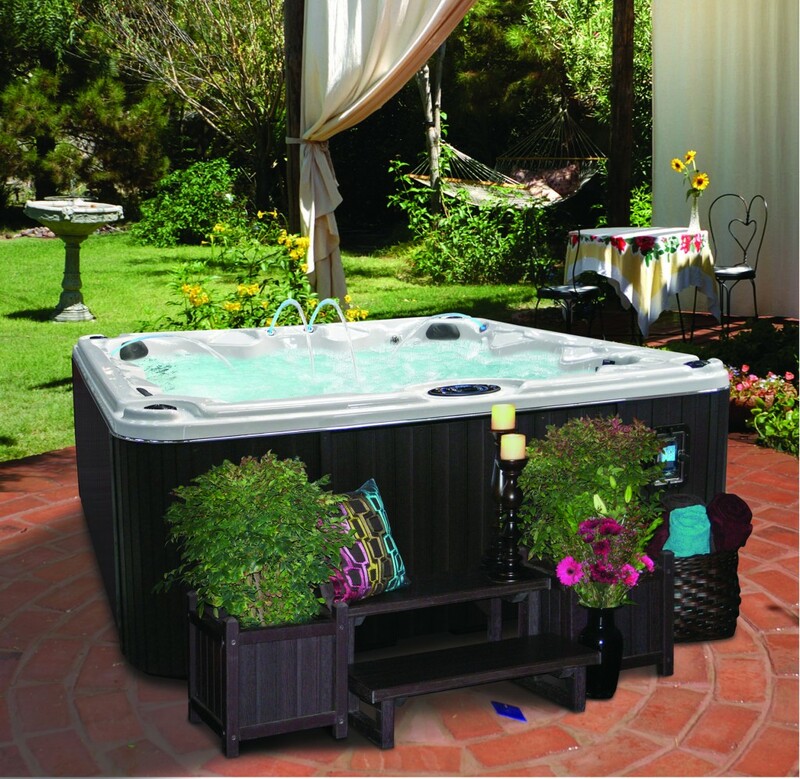 We’ve Been Enjoying Our New Cal Spas Hot Tub!